Really Good Quick Reads About Sports! Hooo--eeee! This has been the busiest summer that the Iron Guy can remember. Things have been moving faster around here than the Millennium Falcon in hyperdrive. That's why I haven't posted anything lately. Fortunately, there are some really good, short and interesting books out there--what I call Good Quick Reads--and I have a few for you. Plus, in keeping with my Manly resolution for this year, they're about sports! How could it be any better? The second is The Best NFL Quarterbacks of All Time by Natt Scheff. Hmmm, this sounds like a title that could stir up a bunch of arguments! Well, this book provides a reasons why these guys really could be considered the best. 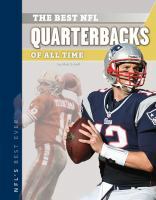 It talks about 14 great quarterbacks, all the way from Otto Graham in the 1950's to Terry Bradshaw to Steve Young to Brett Farve down to Tom Brady and Drew Brees. Each section is only 4 pages but gives lots of good information about why each guy was great. For instance, who was the quarterback that was a 17-round draft pick but went on to win the first two Super Bowls? Who was called "Captain Comeback" and why did he earn that name? And why was Warren Moon, who never won a Super Bowl, so important to the game and many of today's quarterbacks? It's a very good read and there is also a recommended site, a glossary, recommended books and a list of quarterbacks who didn't make the list but are Honorable Mentions. (Will Cam Newton make the list one day? We'll see!) Go get this book too. You'll really enjoy it and will have plenty of info when someone asks, "Who really were the greatest?" First Really Good Book of the Summer! Wow, guys, it's hard to believe that we're into July already! It seems that school let out just a couple of days ago. At least it does to me. This has been a very busy summer here at the library, which is good. That means more guys are checking out more books! Normally, I'd write about the glories of summer at this time of year but, as I said, I'm very busy, so I'll jump right into the latest review. This book is a real winner and it takes place, when not in the magical realms, right here in North Carolina! The book is Villain Keeper, the first book in The Last Dragon Charmer trilogy by Laurie McKay. It's one of those fantasies in which someone from another realm gets pulled into our world--but with a few mysteries and surprises thrown in. Caden, eighth son of King Axel of Razzon in the Greater Realms, gets woken up by his father in the middle of the night and told it's time to go on his dragon quest. That's unusual because princes usually have days to prepare before their quests but Caden is eager to prove himself and takes off. And he does spot a dragon and is about to charge on his mighty Galvanian stallion when the ground around him suddenly turns the dark red of dark magic and he is sucked into another world. 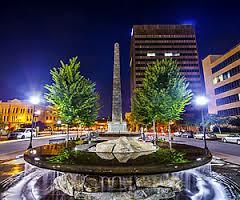 Fortunately, he and Sir Horace, his horse are safe but he finds himself in a strange city called Asheville. And they find that Brynne, a girl he grew up with who is also a sorceress, is there too. Also fortunately, a sympathetic policeman finds Caden (after Brynne and Sir Horace hide) and puts him in the care of a tough but compassionate foster mother--which keeps Caden out of the mental hospital when he insists that he's a prince on a dragon quest! To keep from going on much longer, I'll say that Caden goes to school with Tito, one of the other foster kids but finds out things are much stranger at this school than he suspects. Is the school really a place of banishment for villains from his world? What happened to the Asheville girl who disappeared from the foster home the week before? How can Brynne make a school door explode through a cell phone? And just who is the vice-principal and why are all the villains afraid of her? This is a really good read, boys! Not only is there magic, not only are there mysteries, there are fights with dragons (yes, they show up in our world!) and close encounters with silky-smooth and deadly villains. And there are flashes of humor, too. Just wait until you find out why Caden is terrified of being grounded or his reaction when he sees "geometric meats" for the first time. It's a great book for fantasy lovers or anyone who just plain loves a good story. I've got books 2 and 3 checked out and can't wait to start them! PPS--I first heard about this book on Ms. Yingling Reads, a truly cool blog. Thanks, Ms. Yingling!